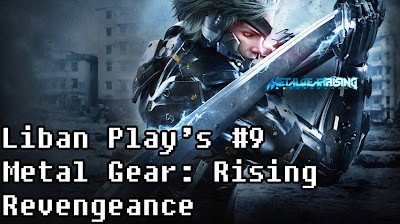 Home » Metal Gear Rising: Revengeance » PS3 » WKGtv » Xbox 360 » Liban Play's #9: Metal Gear Rising: Revengeance Demo - ZAN-DATSU!! Liban Play's #9: Metal Gear Rising: Revengeance Demo - ZAN-DATSU!! Zan-Datsu! Yeah in this Liban Play's we are going for the recently released Metal Gear Rising: Revengeance Demo where we are just slicing the hell of out EVERYONE...except that cat at the beginning.